The Girls Academy programme is aimed at girls of all abilities from beginners to elite players between the ages of 6 to 18 years. 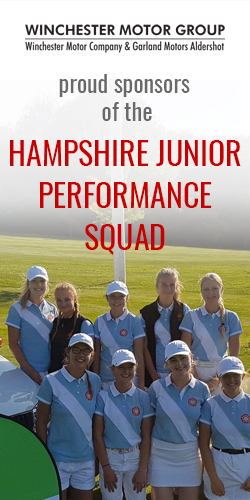 In 2019, Hampshire Ladies County Golf Association will continue the girls golf academy programme with four clubs across the region. The focus of the sessions is on having fun, enjoyment and meeting other girls to learn how to play the game in a sociable environment. All the girls need to worry about is wearing warm casual clothing, all equipment needed for the sessions will be supplied. Each session will be held by our PGA qualified coaches, Kevin Flynn (Tournerbury), Malcolm Scott (Alresford), Nathan Cook (Southampton) and Steve Clay (Blackmoor). All three are highly qualified and experienced golf coaches, and one of their responsibilities is to liaise with the girls home coach regarding individual girls programmes. The academy programme will be £25 for a series of 5 sessions, which is payable upfront.